The Repêchage® FUSION™ Chocolate Espresso INVIGORATE Face & Body Sugar Scrub awakens your senses and your skin with Cocoa, Coffee, a Multi-Fruit AHA Complex, Madagascar Vanilla and Seaweed extracts to help exfoliate and reveal glowing skin. 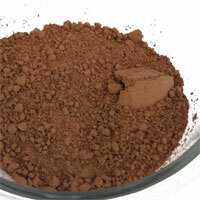 Cocoa is known to help moisturize the skin, as well as contain flavonoids. Coffee beans are a known antioxidant. In body scrubs, this can help improve the appearance of skin tone and texture, helping skin look smoother and brighter.